pleasure to deal with and I am told the flowers are 'just beautiful'. You'd still be everything that I need. 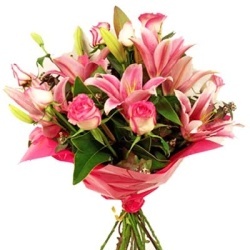 Christchurch florists, NZFlowerbiz Florist, John Atkinson offering fresh flower delivery to Christchurch New Zealand and Districts for 30+ years. Grower fresh flowers. 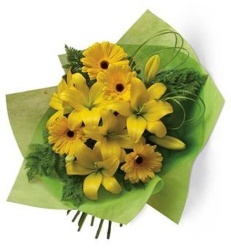 List of Christchurch Suburbs & Districts - Flowers delivered 6 days a week, Monday to Saturday. Fresh flowers daily - direct from the Hothouse. Freesias, Roses, Carnations, Gerberas - a harvest of spring/ summer - exciting colours and varieties. 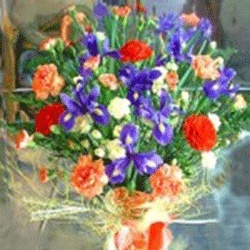 Diploma Florists experts totally devoted to service. More than just flower sellers. Deliveries everyday Christchurch & Districts New Zealand. Order direct. Flowers for New Zealanders. "Flowers if I love you, Chocolates if I don't"
Any line of work is more enjoyable when the environs are cheerful and beautiful. So make an executive decision to decorate your workplace with inspiring flowers. Fill a coffee cup with a few stems and use it as a paperweight. Or fill two matching vases with flowers and have them as bookends. Create a bright feel with just a few colorful stems your workstation. & best value in Christchurch New Zealand. 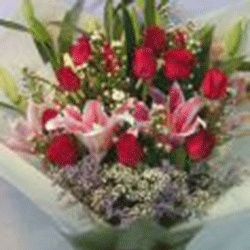 We deliver flowers Monday to Saturday Christchurch & districts. You may change the delivery address during checkout. Please add your instructions before clicking "Buy Now". We deliver to all hospitals, homes and businesses in Christchurch and suburbs. 62 Scarborough Road, Christchurch 8, New Zealand. Specialty quality florist service. Boxed flowers delivered across New Zealand. 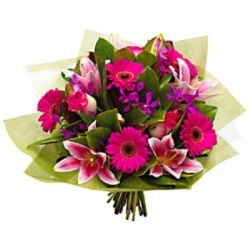 Christchurch florist shop selling christchurch quality flowers fresh from flowers grower to florist to you. Delivered in Christchurch or anywhere in New Zealand. Flower care. History of flowers. 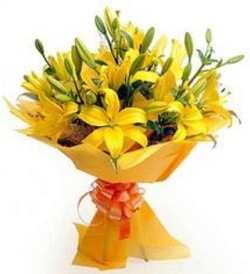 Diploma Christchurch florist experts totally devoted to service. Deliveries everyday Christchurch & Districts, New Zealand. More than just flower sellers. Why should I choose to order from you? Do you guarantee your flowers? Can I order flowers for $75? 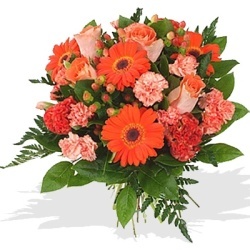 Do you deliver flowers Saturday and Sundays as well as week days? If get well flowers are delivered to a Public Hospital is the order left at reception? Could I order a funky bunch of flowers? Can I order flowers to be placed on a grave? Do you belong to Interflora or Teleflora? Do you arrange flowers for a funeral - family casket spray, sheath cut flowers etc? When do you debit my credit card? 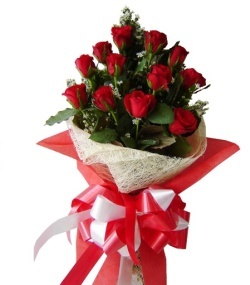 Can you supply specialty roses in New Zealand? 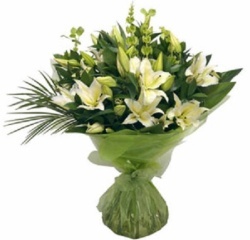 Do you supply silk flowers and silk flowers arrangements in specified colours? Am I able to order wedding flowers? Do you confirm email orders? What is the advantage for me to use your secure site? Copyright � 1998 2018 12website.com All Rights Reserved.